Yesterday, I wrote about the practical difficulty of pursuing employee-side non-compete claims. These almost always arise in the context of a declaratory judgment claim, where an employee seeks a court ruling (or declaration) that a non-compete is void and unenforceable. However, if an ex-employer has taken affirmative steps to interfere with competitive employment - often through a cease and desist letter to the new company - an employee may have a claim in tort for interference with employment expectancy. A recent case in Ohio confirms that the validity of a tortious interference claim often is tied to the enforceability of the non-compete itself. In Hidy Motors v. Sheaffer, the ex-employee (Sheaffer) accepted a general manager position at an auto dealer in alleged violation of his non-compete clause. His former employer then phoned the new car dealership and informed Sheaffer's boss that his hiring violated a non-compete clause. In response, Sheaffer was fired. Hidy Motors sued seeking a declaration that the non-compete agreement was enforceable, and Sheaffer countersued. One of his claims was based on tortious interference with employment, given that Hidy Motors' threatening phone call about the non-compete clearly was the proximate cause of his termination. Hidy Motors obtained summary judgment on the tortious interference claim, as the court held that its actions were privileged. The appellate court reversed, holding that the trial court failed to conduct the requisite analysis into whether the non-compete was valid. According to the appellate court, "the trial court erred in assuming that the covenant not to compete could be relied on as the basis for Hidy's privilege defense to Sheaffer's tortious interference claim." 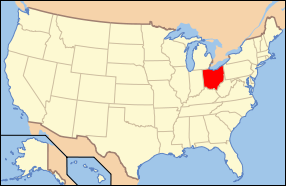 In Ohio, therefore, the defense of privilege depends on the validity or enforceability of the non-compete. The law in other states is substantially the same. When an employer raises privilege (or justification) as an affirmative defense, courts generally apply a test found in the Restatement of Torts which requires an employer to prove that the interference does not creat or continue an invalid restraint of trade. If a non-compete is unenforceable and overbroad under the law, the employer won't be able to prove the elements of the justification defense. Based on my review of other cases with similar facts, an ex-employer may be liable for punitive damages in certain circumstances, although I doubt a garden-variety case would support such an award. There must be some gratuitous interference, such as when there is no substantial competitive relationship between the two companies. Avoiding interference claims, though, is rather easy. An employer simply should avoid contacting any prospective employers about an ex-employee's non-compete. It should direct any cease-and-desist letters to the employee only, in which case an interference claim won't stand at all. My good friend, former boss, and mentor, Bill Schaller of Baker & McKenzie, aptly wrote about this issue in his 2001 law review article "Jumping Ship: Legal Issues Relating to Employee Mobility in High Technology Industries." He writes that "[c]ommon sense does not necessarily track common law, and thus caution is important in investigating and litigating these complex, high-speed cases. Complexity and speed present an explosive mix, making it imperative that inside and outside counsel map their strategy as thoroughly and as soon as possible." Indeed, outside counsel ought to be the voice of restraint and advise corporate clients not to act too rashly in making threats and demands when issues of potential unfair competition arise. Legal counsel can and must serve as a check to ensure that pre-litigation and litigation strategy strikes the appropriate balance between protecting a client's business interests and minimizing unnecessary risk.